Saving the landscape, rebuilding entrepreneurial rural families, and protecting nutritious food are the themes of this timeless treatise-hence the word "testament." Delving into the soul of the Salatin family's nationally acclaimed Polyface Farm, author Joel Salatin offers Family Friendly Farming as the key to dealing with resource issues, food policy, and social fabric. 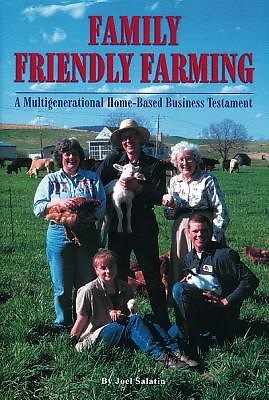 With humor and personal stories, he opens his family and farm convictions for all to see, share, and enjoy. Written from his unabashed "Christian libertarian environmentalist capitalist" perspective, his ideas are guaranteed to encourage and challenge virtually every "ism" in the culture. It will captivate anyone passionate about healing the land, healing families, and healing the food supply. For several decades young people have been leaving the family farm. The ones left behind are now responsible for society's greatest resources: clean land and clean food. Anyone dedicated to preserving these resources will find in these pages a nongovernmental, self-empowerment approach to environmentalism and food safety.